Beautiful 100% Natural Hair Extensions for the Length & Volume You’ve Always Wanted. Beautiful Hair Extensions for Women – Richmond, Va. Hair Extensions for Women – Simply Beautiful! 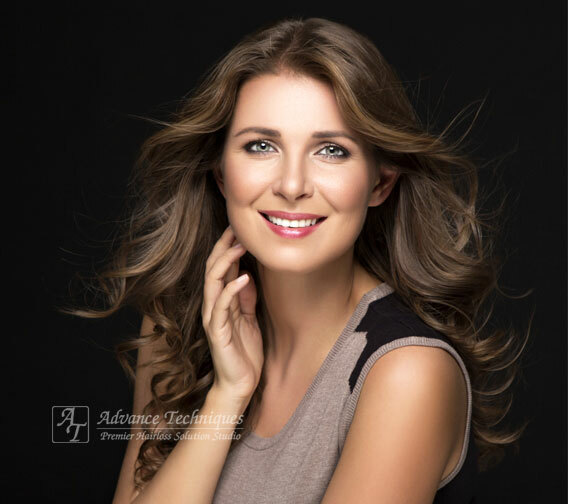 ACHIEVE THE LOOK YOU WANT with beautiful hair extensions from Advance Techniques in Richmond. Now you can instantly add the volume and length you’ve always wanted with our finest quality premium hair extensions made from the finest 100% human hair. And with our exclusive non-damaging application techniques, you can achieve your dreams for long, beautiful hair without damaging your natural hair. Achieve increased hair volume and have long, thick, healthy, beautiful looking hair. With Reallusions hair extensions, you need not limit your active lifestyle in any way. Gorgeous Body. Amazing Length. Limitless Style. Hair extensions aren’t just for Hollywood celebrities. Models, actresses, and women just like you love hair extensions, because they can make your hair instantly longer or thicker, and provide increased hair volume where you want it. And our 100% natural women’s hair extensions are made from 100% natural human hair, hand selected and available in a variety of hair lengths, textures and colors. And with our exclusive hair extension application methods, they are absolutely the gentlest way to lengthen and thicken your hair without damaging your own natural growing hair. Hair removal is easy and stress free! Unlike traditional or clip in extensions, which were often sewn into or bonded to your natural hair, Advance Techniques hair extensions use a fusion method to attach the extension to your hair, making them much more “hair friendly,” particularly for women with fine or thinning hair. 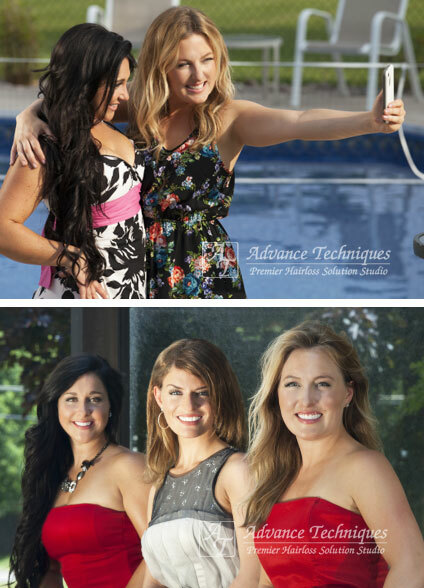 At Advance Techniques in Richmond, Virginia, we can apply beautiful, natural hair extensions in just a couple of hours in the length, color and style of your choice. What could a little extra length or a little more volume or highlights or lowlights do for your hair? What could they do for your appearance? At Advance Techniques in Richmond, it’s easy to find out because the process takes so little time. You’ll be able to explore all the various hairstyles that weren’t possible with your existing hair. With hair extensions, there are lots of options to consider but only one phone call you need to make. Contact us today and fall in love with your mirror again.